* the display’s pixel density is 132 pixels per inch (ppi), slightly less than the iPhone 3GS 163ppi screen. Remember that iPhone 4 has a higher resolution that comes closer to the iPad display, this should make moving apps between the two more fluid, and more attractive. Bookmarked. 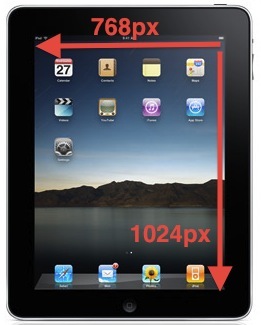 To those worrying about the smaller pixel density — don’t worry its not visible to the eye.